Starting Wednesday night, Caltrans will ring in the new year by lighting the arches on the Cabrillo Bridge, where Laurel Street crosses over state Route 163. 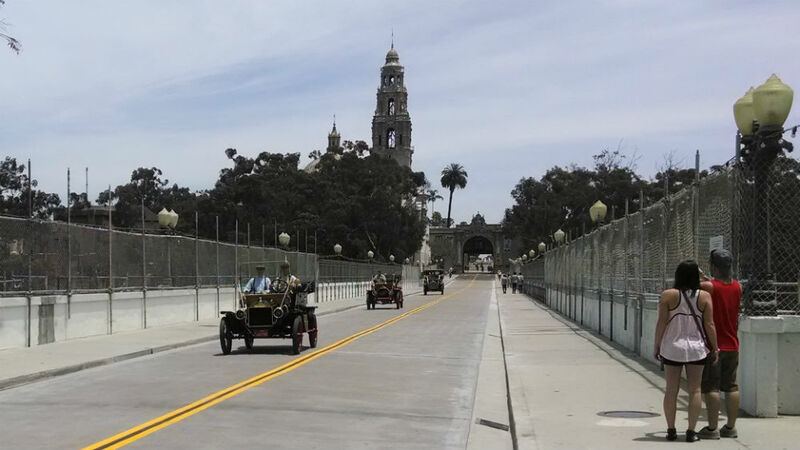 The lighting was installed as part of a project between Caltrans and the city San Diego to strengthen the century-old structure in case of an earthquake. The bridge was built for the Panama-California Exposition. The lighting will complement the nearby California Tower, another historical icon of Balboa Park that is lighted at night. Work began on the seismic retrofit and rehabilitation project in September 2013. The exterior work to upgrade the decking and repair unsound concrete was completed in November. Interior work included installation of vertical post tensioning rods, reinforcing column walls, replacing utilities and installing a catwalk for maintenance. A new storm drain system also was installed. Work to complete the catwalk is expected to wrap up by March 2015.